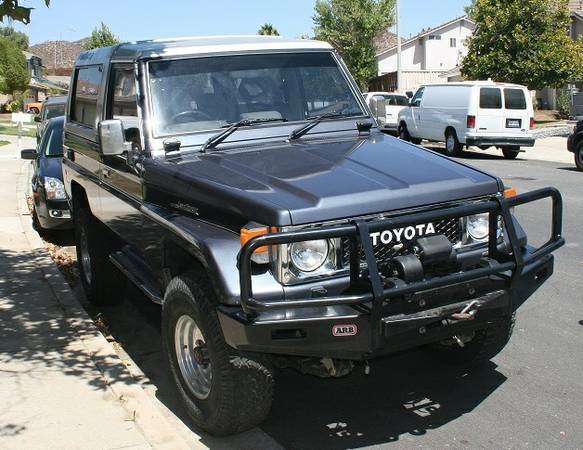 I'm selling a BJ74 turbo-diesel Land Cruiser. This one is in excellent condition all original look and performance. Read up on these and you will see that they are arguably the best off road vehicle ever made. It can go off road but also drive you to dinner in style. It makes everyone happy wherever you go. It has a very efficient Diesel engine that is built to last. I hope to find a buyer that will enjoy it and not just park it in storage. It should appreciate in value even if you do use it. 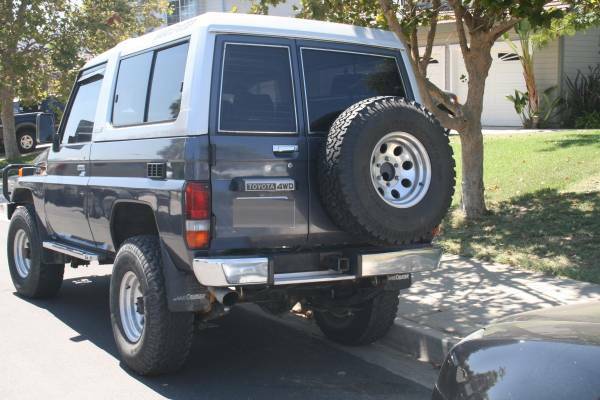 There are so many FJ40s out there that they just don't have the appeal they used to. The BJ series is the next classic to own. Please don't offer ridiculous prices or trades. This is a highly sought after vehicle and I'm only interested in serious cash offers in person. Bank check only at the bank of your choice. Trust me this car is amazing in every way. Toyota makes simple utility with no frills to break. It's been serviced by me love working on it well maintained. Local Pickup in cash preferred. I have no problem meeting at your mechanic of choice to inspect and drive. $27.000 PRICE IS NOT NEGOTIABLE.